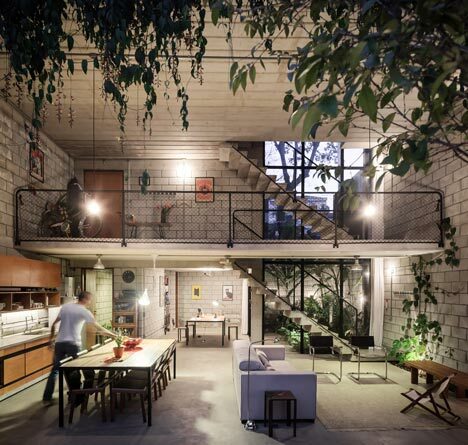 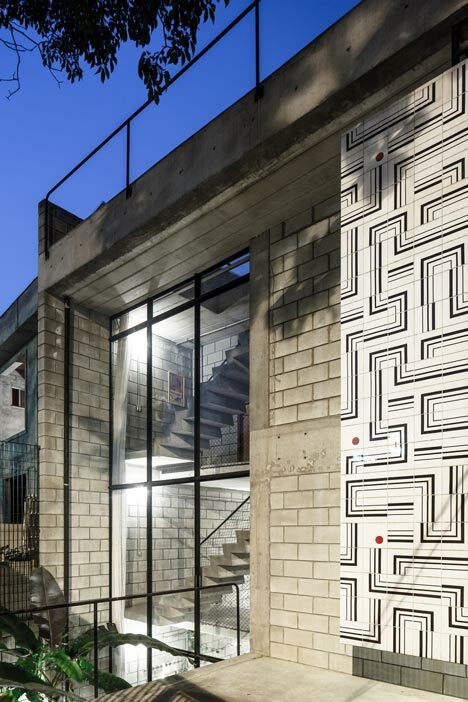 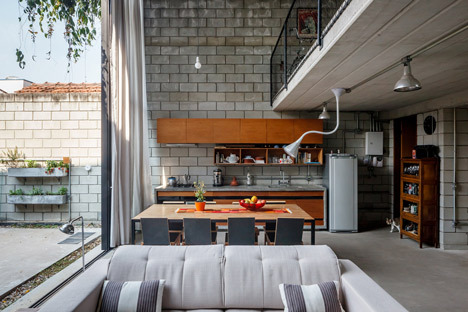 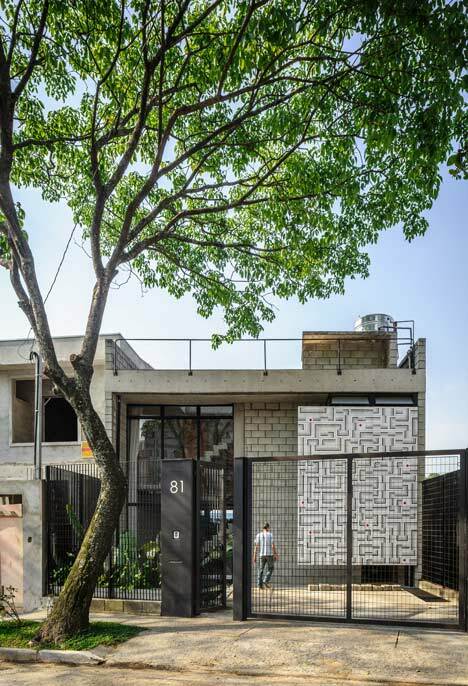 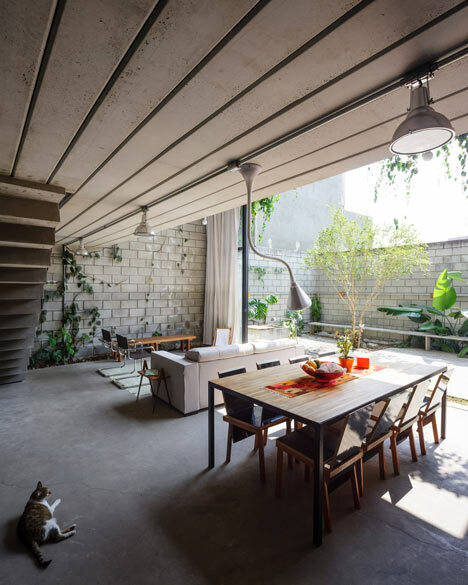 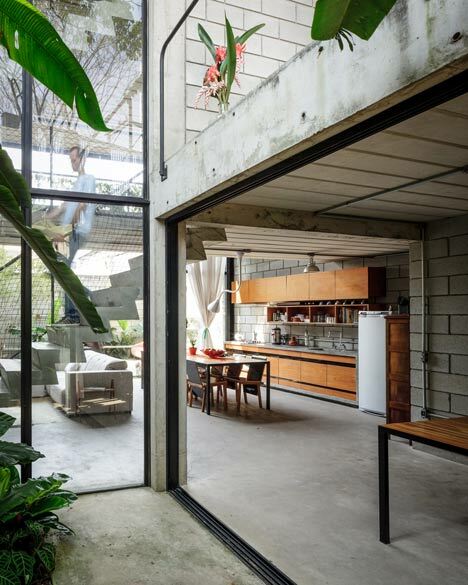 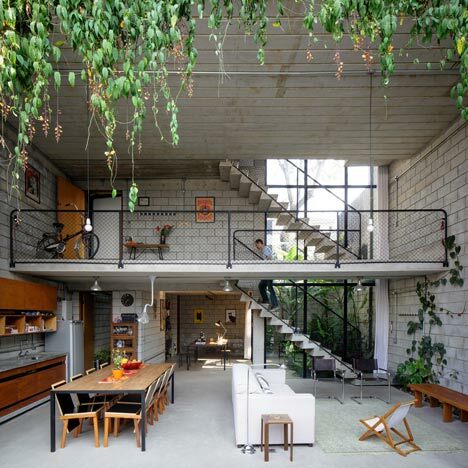 This concrete house is located in Sao Paulo and has been designed by Terre e Tuma Arquitetos. 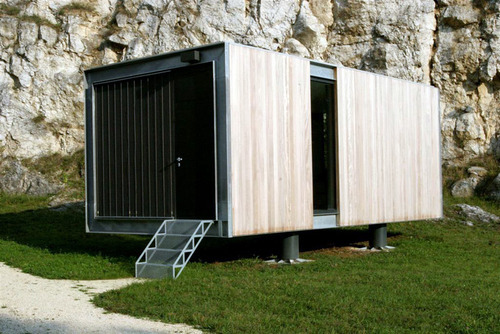 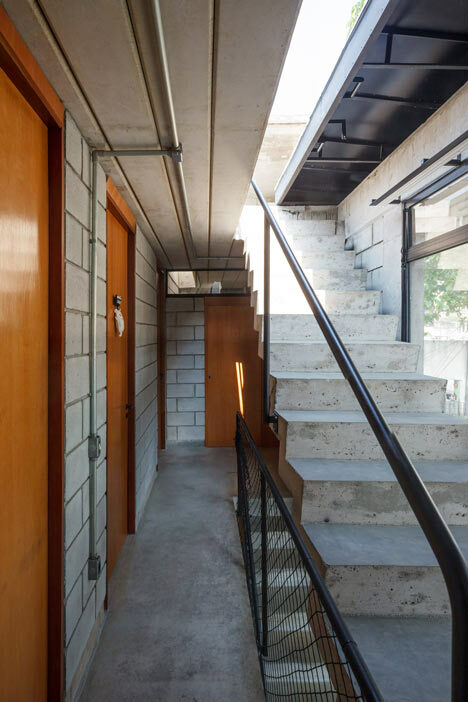 Terra e Tuma constructed the house using concrete and left chunky block walls exposed around both interior and exterior spaces. 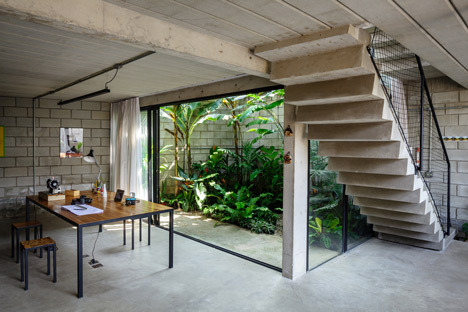 Designed for architect and studio director Danilo Terra and his family, the three-storey Maracanã House was constructed on a tiered site in the city suburbs, where the lowest level of the ground is a storey below the street.